More and more people suffer from back pain. 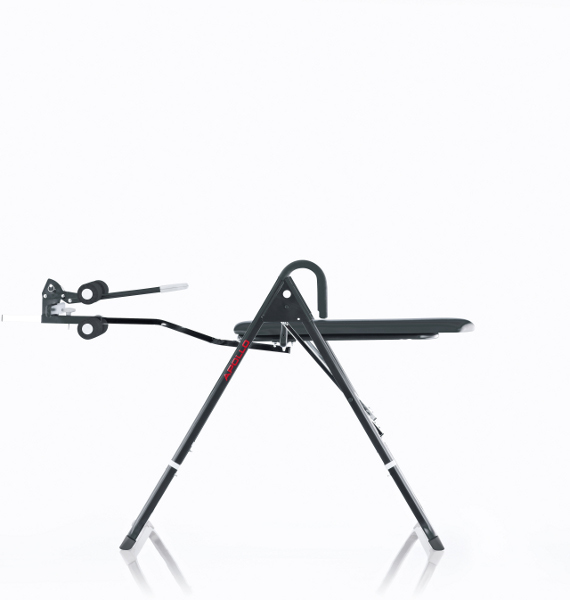 In order to ease back pain, orthopedists recommend the so called inversion training - i.e., with the Kettler Apollo. Hang head over feet on the Kettler Apollo inversion trainer, the spinal disc is relieved while exercising with the back trainer. Tensenesses are loosened up, back muscles are relieved. Stand in the Kettler Apollo inversion trainer and engage your feet between the padded rolls. The foot safety is equipped with an easy safety lock for engaging. When you stand safe in the Kettler Apollo inversion trainer, let yourselves fall behind until the back is completely relieved. 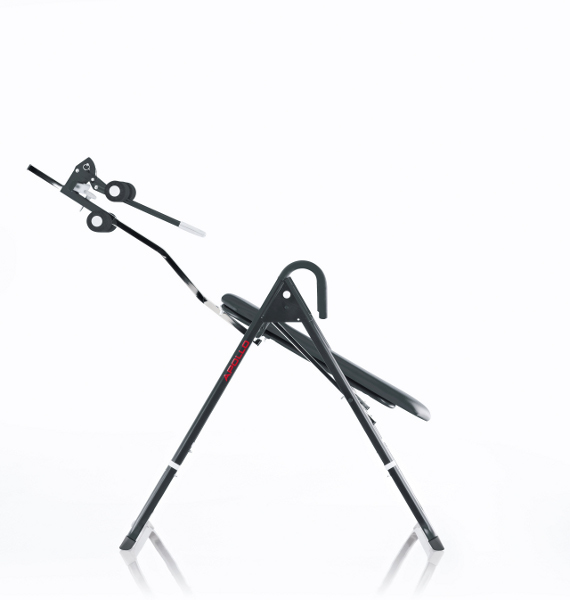 The Kettler Apollo inversion trainer has a stable tube construction made of precision steel. The adjustment mechanisms are of careful workmanship and easy to use. 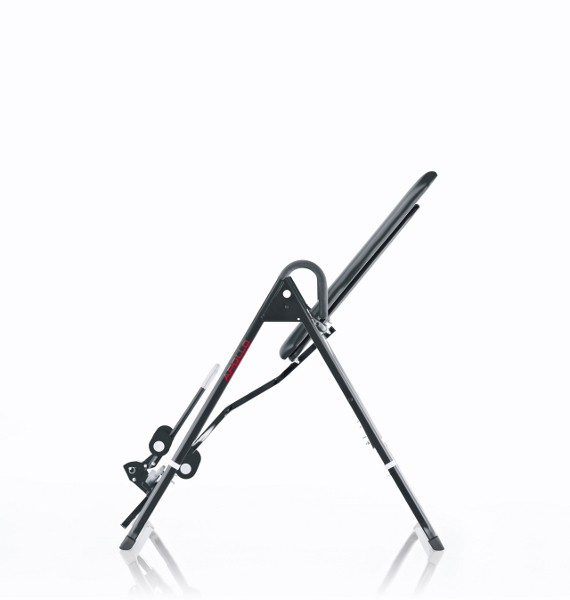 The Kettler Apollo inversion trainer has a maximum incline angle of 150 degree and is safe against unintended somersault. 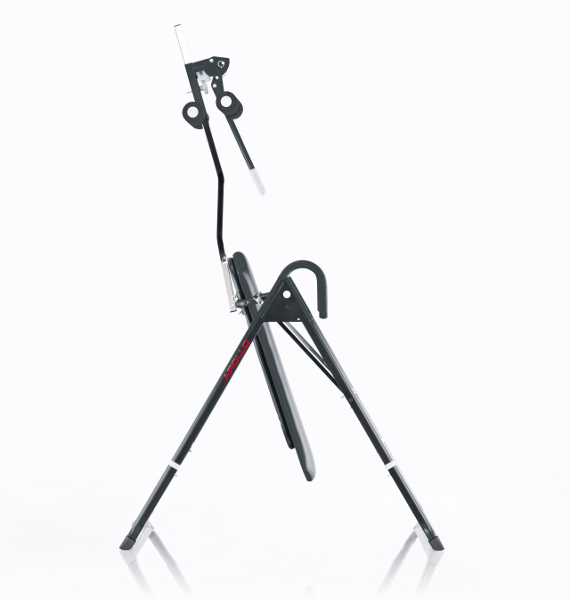 The back trainer with over-head-position is TÜV-/GS tested and corresponds to high expectations regarding Kettler fitness equipement.